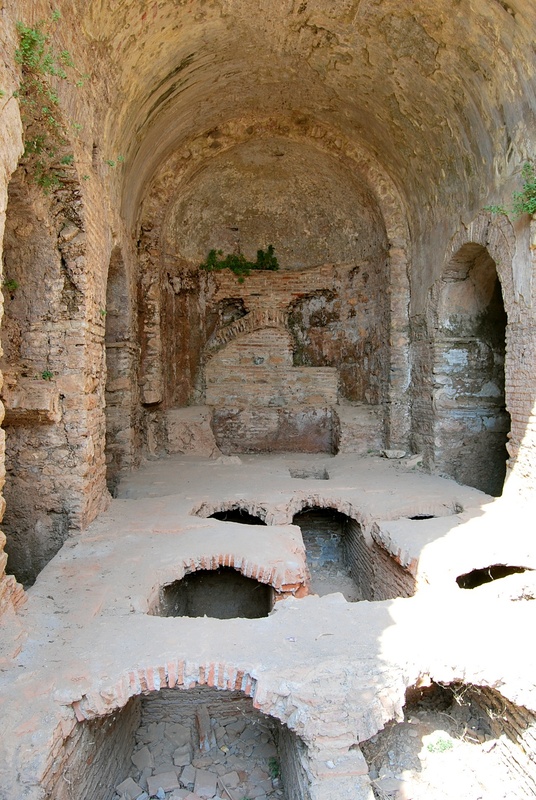 If you find yourself in the vicinity of Ephesus, you should find the ruins of the Grotto of the Seven Sleepers (tr. 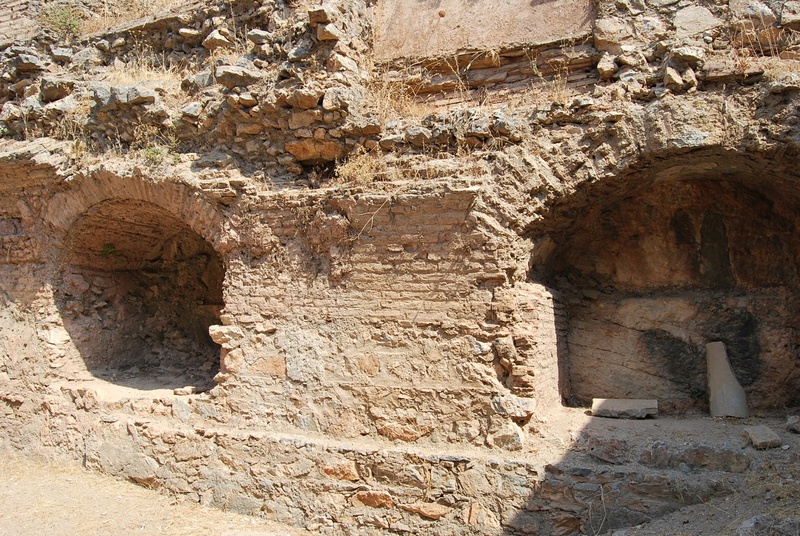 Yedi Uyuyanlar), located nearby. 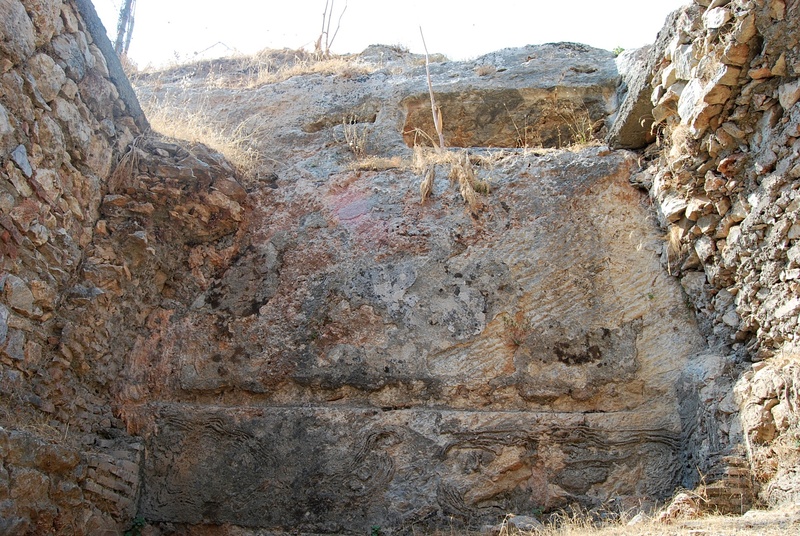 It is a Byzantine necropolis where dozens of rock-cut tombs can be seen. The grotto is one of the several places related to the legend of a group of youths who hid inside a cave and years after woke up to find the world changed. This legend has two versions, Christian, and Islamic. The legend tells the story of seven young men who were accused of belonging to the Christian community at the time of the persecutions by the Roman Emperor Trajan Decius. He reigned from 249 to 251 AD. At this time, a group of young Christian men were given some time to renounce their faith. Rather than do that, they distributed his wealth among the poor and hid in a mountain cave, where they began to pray. During the prayer, they became overcome by great sleepiness. When they were found sleeping in the cave, at the behest of the emperor the entrance to the cave was sealed. An alternative version of this story claims that Decius ordered the incarceration of young men in a cave as punishment for their beliefs. Many years passed, and Christianity from a persecuted religion became the state religion. After over 250 years, during the reign of Theodosius II (i.e. between 408 and 450), a landowner decided to demolish walled up the entrance to the cave, because it planned to use it as a cowshed. He was genuinely surprised to find seven men sleeping inside. They woke up with the conviction that they slept for just one day. As they were tormented by hunger, they sent one volunteer to the city to buy some food. He was to be extremally careful not to get caught by the pagans. 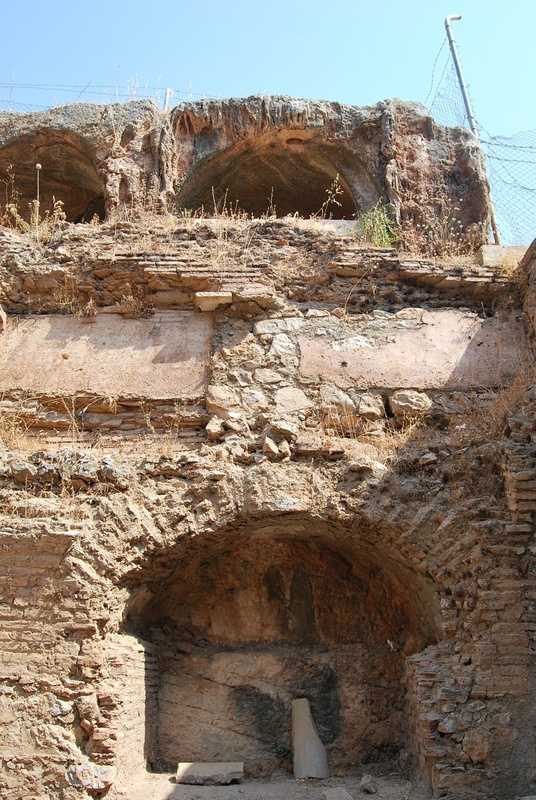 When the man entered Ephesus, he noticed with great astonishment that there were crosses on many buildings in the city. The biggest sensation was caused by his attempt to pay for the food with old coins from the time of Decius. City residents called the local bishop, who heard the story of seven young men. 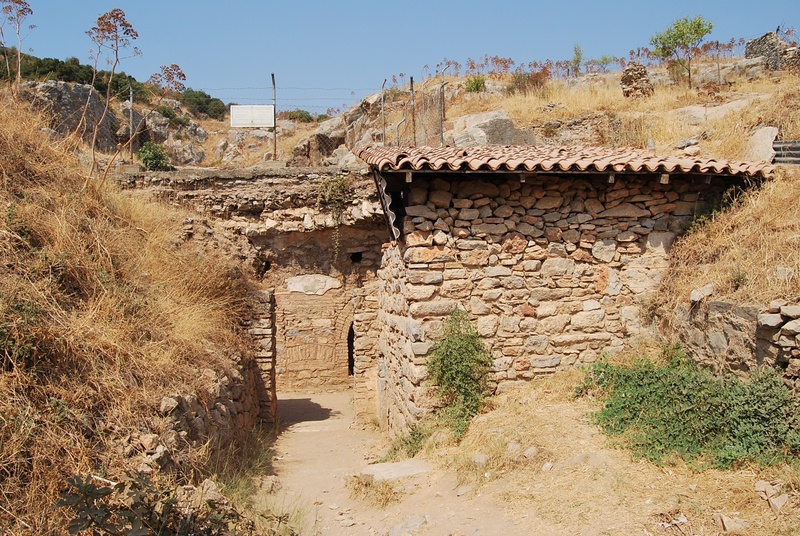 Since the earliest version of the story comes from the vicinity of Ephesus, the legendary cave was identified with the grotto on the slope of Pion Mountain (tr. 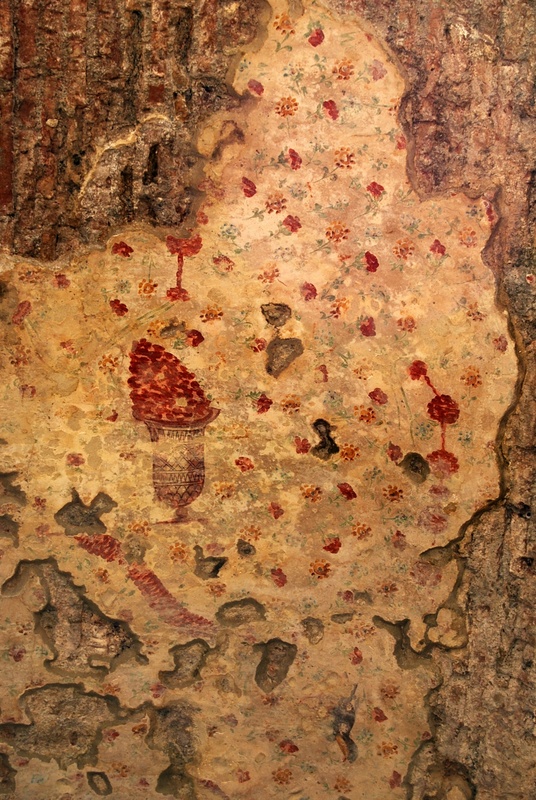 Panayır Dağı). The cave was declared a sacred place and began to attract pilgrims. For hundreds of years, the faithful wanted to be buried as close as possible next to the holy youths. 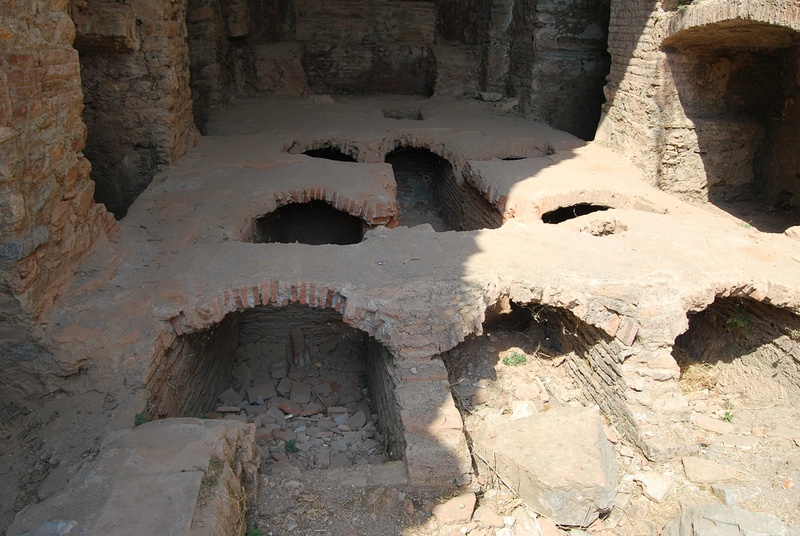 With time, numerous graves appeared, and the catacombs were built in the vicinity. The Koran does not specify the location of the cave, so its location is the source of much speculation. Apart from the cave near Ephesus, there are other probable locations, in Turkey as well as in other countries, such as Jordan, Tunisia, and even China. 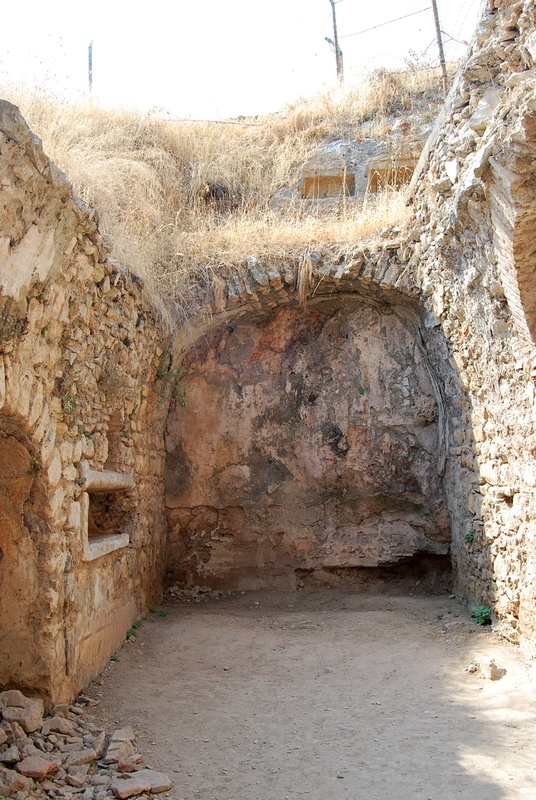 The place known as the Grotto of the Seven Sleepers is now a ruined church carved into the rock. 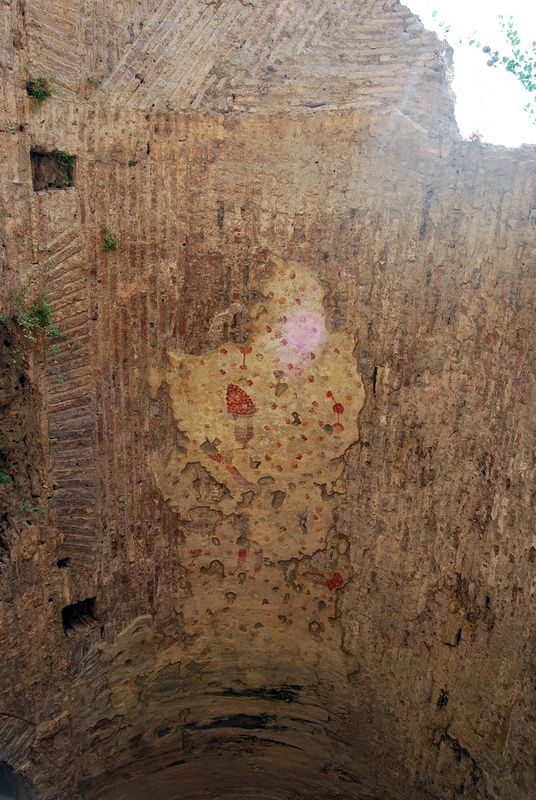 The cave was once lined with bricks that created the impression of a building. 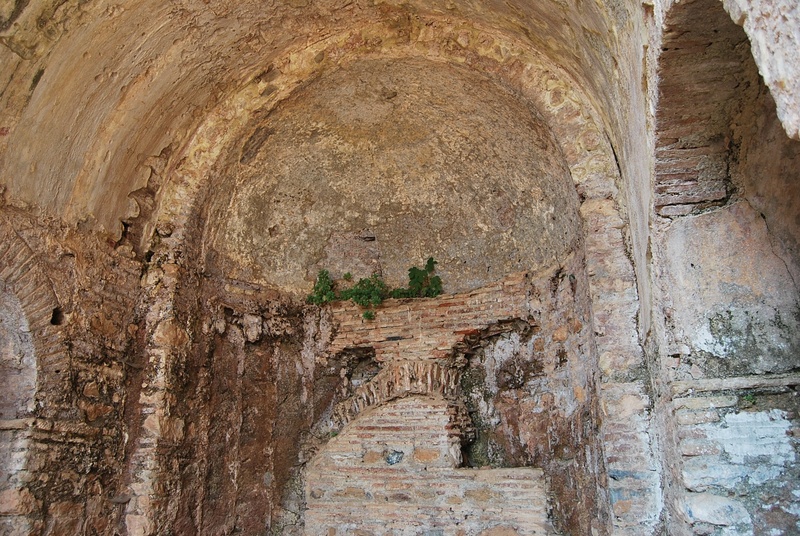 In the side walls of the church, there are niches with arched vaults, and in the depths of the cave there is an apse. 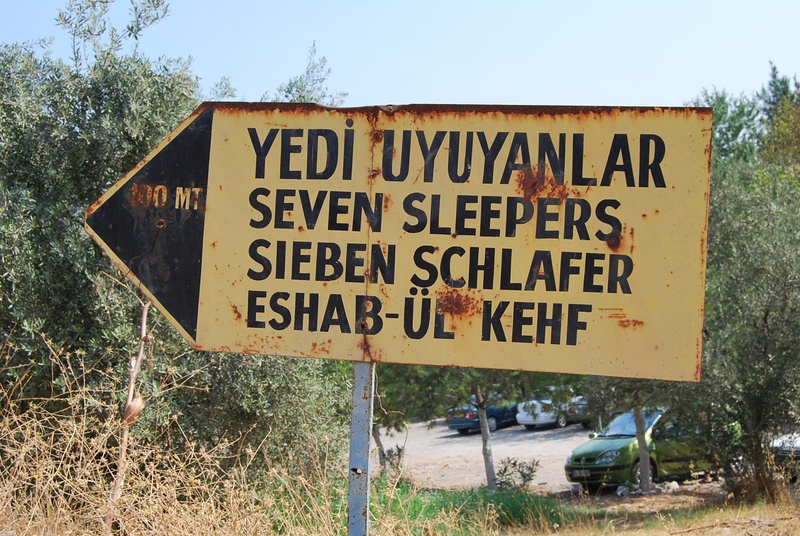 The inscriptions dedicated to the Seven Sleepers were found on the walls. 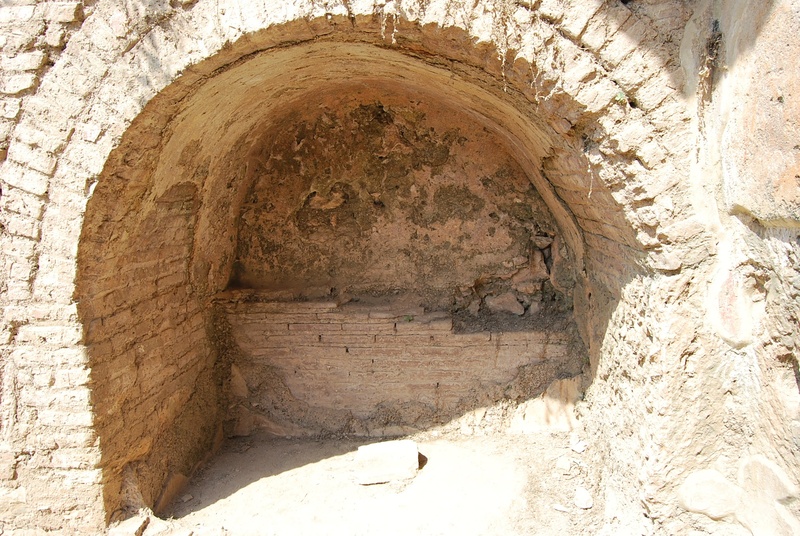 The hollow floor openings are now empty, but they were once the burial place. In total, in the cave, and its surroundings several hundred graves from the 5th and the 6th centuries AD have been discovered. The most valuable find for archaeologists was the treasure, which consisted of a collection of terracotta lamps, dated to the 4th and the 5th century AD. Most of them were decorated with the sign of the cross, and some show the scenes from the Old Testament, including Adam and Eve, Abraham and Isaac, and Daniel in the lion's den. They are also lamps with scenes from everyday life, fishing, and theatre performances. Interestingly, on some of the lamps, there are scenes from pagan times, depicting Hercules, Zeus and Aphrodite and the facades of ancient temples. The interpretation of this finding is not straightforward. 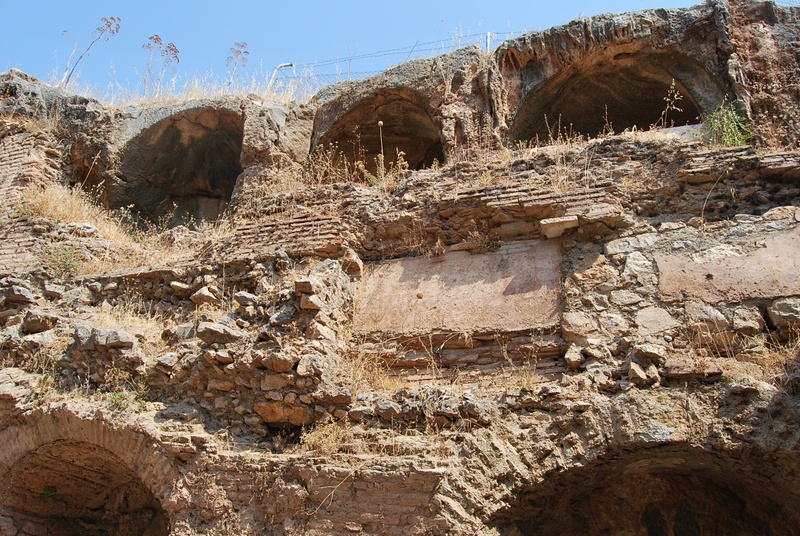 Did Christian residents of Ephesus preserve the pagan traditions or did the pagans join the Christians during the ceremonies held in a cave? 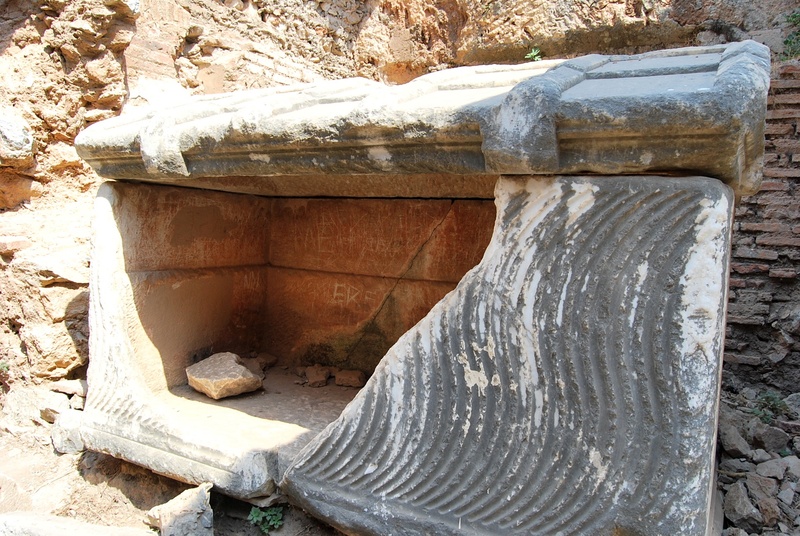 The answer is not known, but the lamps certainly reflect existing pagan traditions in the 5th century AD at Ephesus. 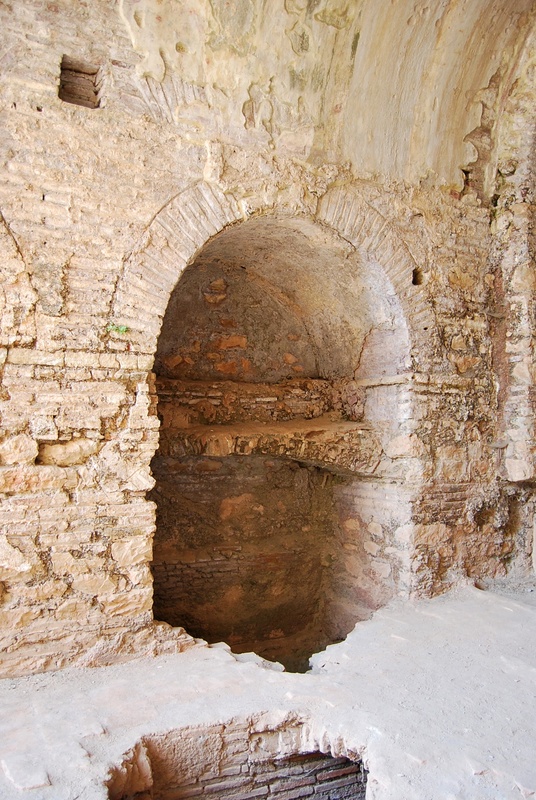 The Grotto of the Seven Sleepers is fenced off, and the gate - padlocked most of the time. If you are lucky, there will be a guardian nearby to open the gate. Otherwise, you might try getting inside through a hole in the fence or by crawling under the gate. Nearby the cave there is a restaurant specialising in homemade gözleme and fresh ayran that can be enjoyed while lying on benches lined with carpets. 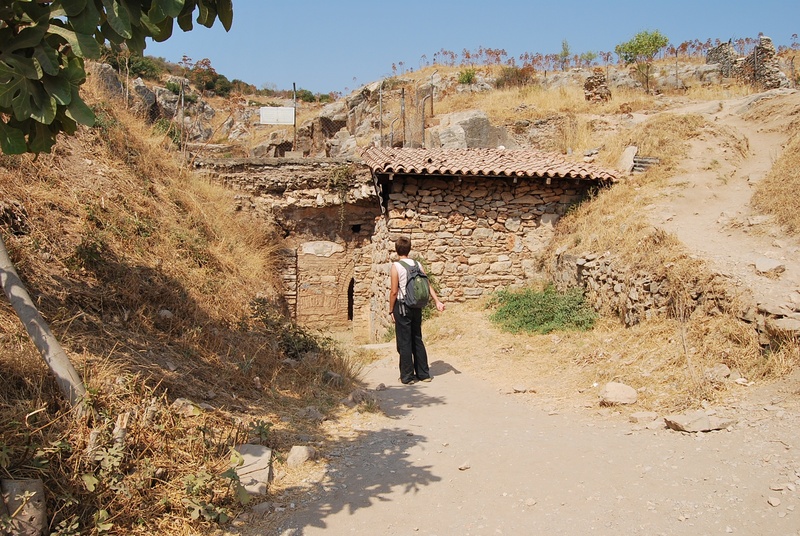 First, you need to get to Selçuk, then head towards the ruins of the ancient city of Ephesus. 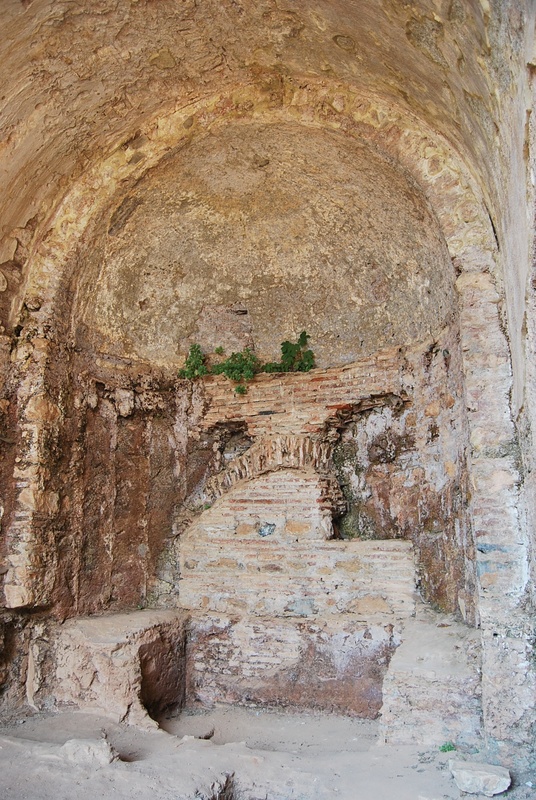 There are signposts to the grotto from Ephesus. 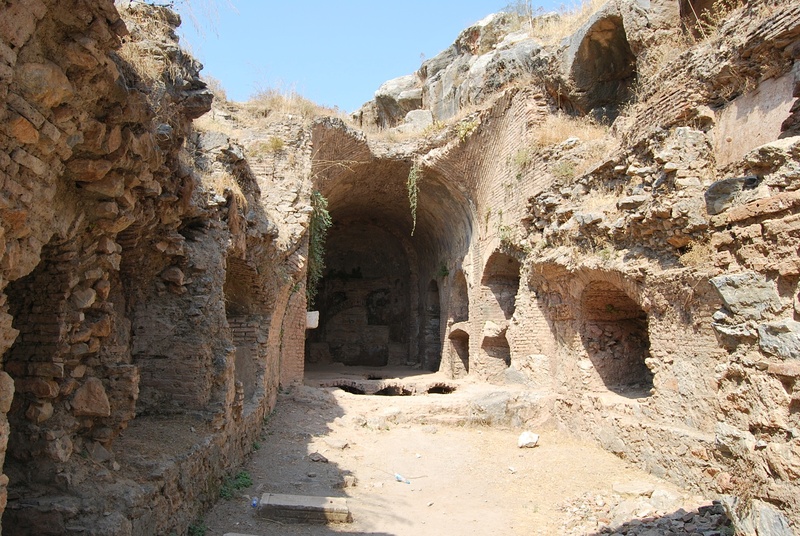 The cave is located on the mountainside of Panayır Mountain, about 1.5 km from Ephesus and 200 meters from the car park.